Almost everyone knows that the famous lunar quote “one small step…” is attributed to Neil Armstrong. Unfortunately, the famous footprint that has been shown in countless films and rendered in many photographs is not from Armstrong, but from Buzz Aldrin. 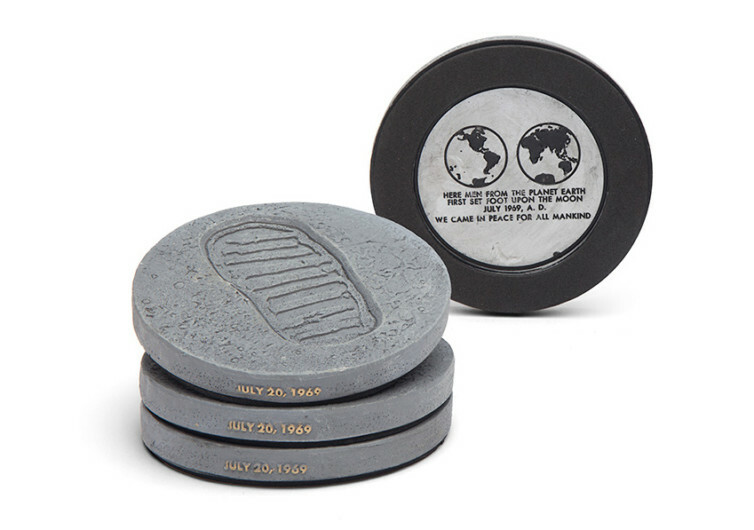 Just as the “one small step…” quote has been seared into the minds of several generations, the famous bootprint on the surface of the moon is now enshrined in the NASA Lunar Bootprint Coasters. 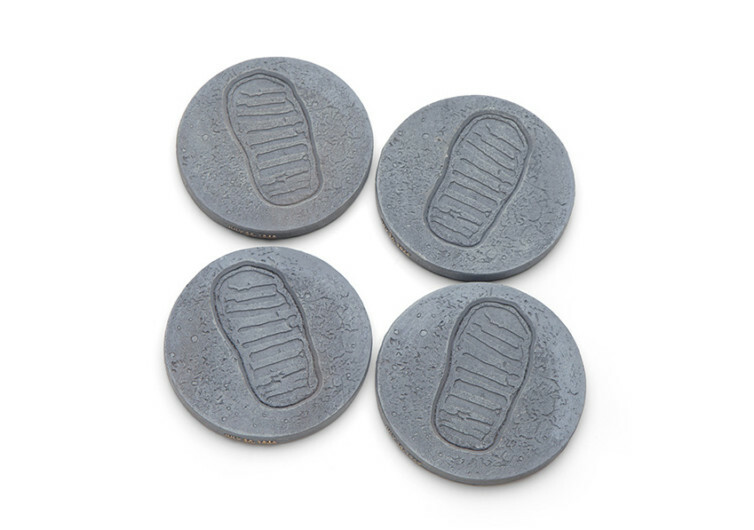 Made of rubber and resin, the elegantly designed coaster comes with a bootprint that is an exact replica of the one left by Buzz some 238,900 miles away on the surface of the moon. You don’t have to wait for NASA to reactivate its lunar missions since it has clearly moved well past our closest stellar body. 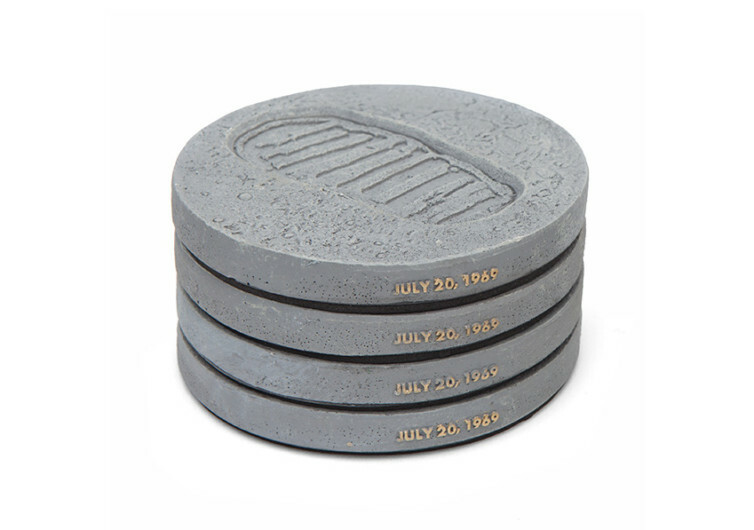 the NASA Lunar Bootprint Coasters are the closest things you can get a piece of history, elegantly and safely cradling your cup of coffee or your glass of beer or just about anything else. And if you don’t want to use these coasters for their historical value, then you can at least preserve them in your display cabinet for you to show to the many more generations of space explorers to come.